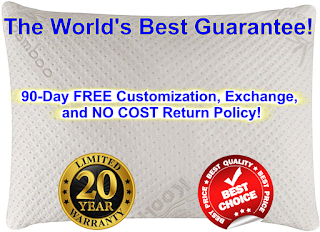 Snuggle-Pedic Queen Size Pillow is a Bamboo Combination Shredded Style Memory Foam Pillow with Kool-Flow Micro Vented Cover. It arrives at you folded up flat and when you unravel it slowly expands due to the air or if you want to you can put the pillow in the dryer for 20 minutes to recover quickly from the initial compressed state. And it will also soften up the material bits so you can do this every so often to revitalize the pillow over the years because it is guaranteed for 20 years. You can easily wash the outer bamboo cover by open it up completely and removing the inner liner that contains the fill. If you need to wash the whole pillow for any reason it is a much longer process that will need to be done as follows you use cold water on a gentle setting or delicate, be sure fully close both zippers and to decompress the zipper tab securely back into their lock position. And then it goes on from there on step-by-step a market to put the whole thing on here as it will be too long but it’s on their website and makes included with the pillow itself. The foam used in each pillow comes directly from the excess foam used in our very high-end mattresses. Much of the foam pieces come straight out of our ventilator machine thousands of small holes are bored through our foam layers in to make our higher-end mattresses such as our Tempflow and Air-Pedic mattress extremely breathable through use of our patented Airflow Transfer System. In addition, we shred the excess foam that gets cut off of our mattresses as we cut the necessary foam to size. These foams include our proprietary 5lb. density Biogreen memory foam that has been tested using UL laboratories stringent GreenGuard testing protocol and found to be 13 times lower than the allowable maximum requirements for certification through GreenGuard. 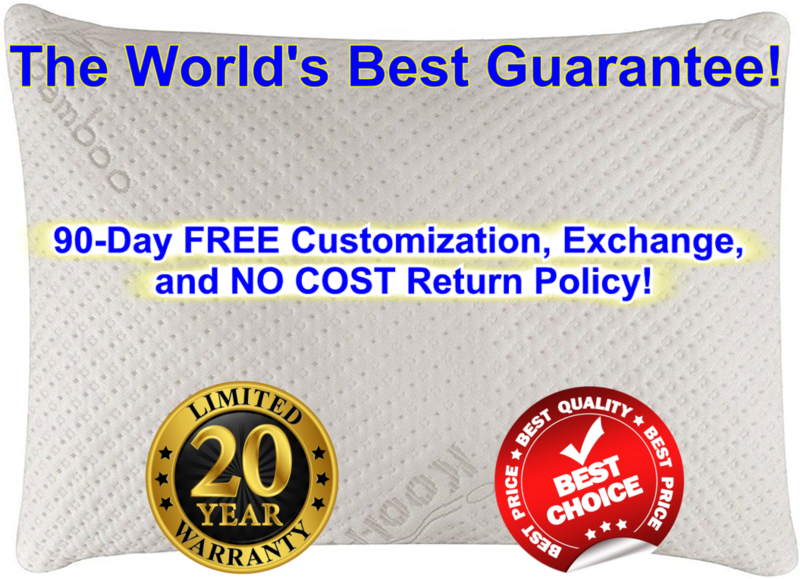 The rest of the foam we use to create our mattresses are all CertiPur-U.S. certified foam for being low in V.O.C. and environmentally friendly. Dense memory foam and polyurethane are naturally dust mite resistant, making it the most comfortable and hypoallergenic material in bedding. Our cover uses an extra thick fabric made from sustainable Bamboo viscose and polyester. Most of our customers find the very mild foam smell to be less than most new products they have purchased, but the Snuggle-Pedic pillows are completely washable and only get more fluffy and soft with each wash.
My Opinion: I’ve been using this pillow for about a week now and I really like how comfortable it is under my head and it feels very soft in the pillowcase and without the pillowcase, I should add. I really like how it keeps its shape and to get it to be fluffy again I can just toss in the dryer for a minute or two and then put it back in the pillowcase.